The Advent wreath is part of our long-standing Catholic tradition. However, the actual origins are uncertain. 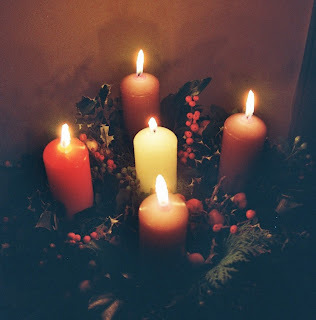 There is evidence of pre-Christian Germanic peoples using wreaths with lit candles during the cold and dark December days as a sign of hope in the future warm and extended-sunlight days of spring. In Scandinavia during winter, lit candles were placed around a wheel, and prayers were offered to the god of light to turn “the wheel of the earth” back toward the sun to lengthen the days and restore warmth.